The FTD® Holiday Enchantment™ Bouquet is a simply stunning display of seasonal glamour they won't be able to resist. 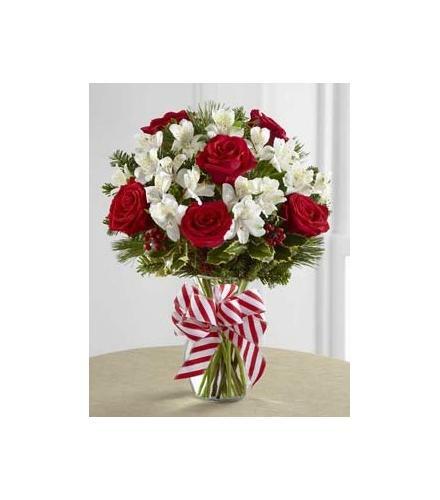 Rich red roses are paired with the dazzling beauty of white accented with holiday greens for an elegant look. Arranged in a clear glass vase, this bouquet will add to the magic and wonder of their holiday festivities. Holiday Enchantment Vase FTD.